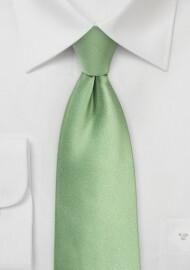 If the lime green summer tie is a bit too bright and flashy, then this sage colored tie is a perfect alternative. It is a perfect summer choice that compliments a wide range of suit colors. Thanks to the solid color design, it is also easy paired to any patterned shirt. Be it stripes, checks, herringbone, tattersall, or any other shirt pattern, this tie will compliment nicely! Made in long length for tall men. 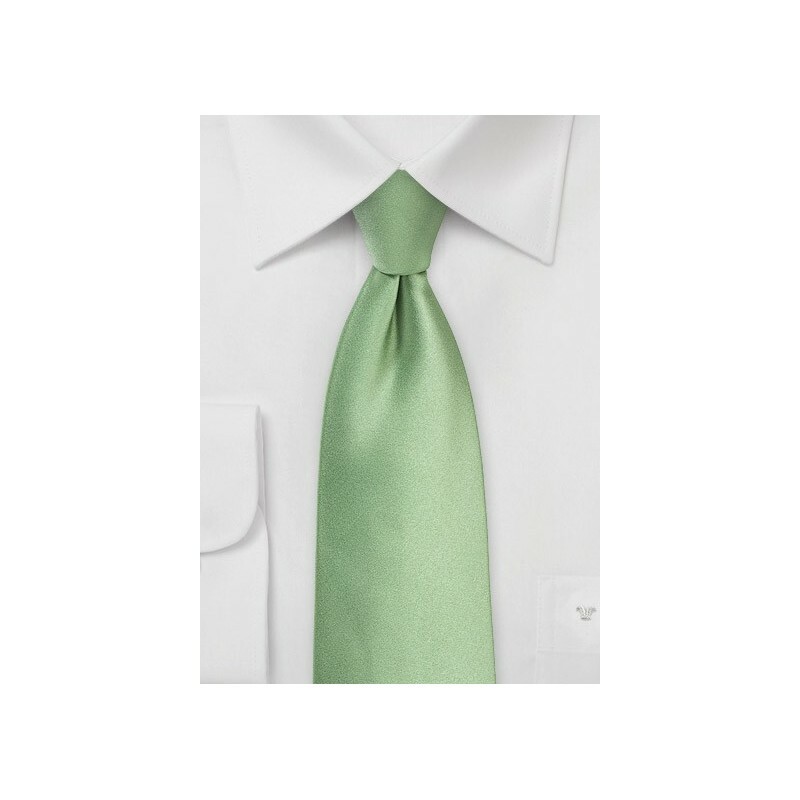 For men shorter than 6 foot 3 inches, please find the link to the matching normal length tie below.